There seem to be plenty of bands out there who share the name Ataraxia, not to mention several albums that are either entitled Ataraxia or at least include the word. In fact there is a new Pelican album which uses that word. 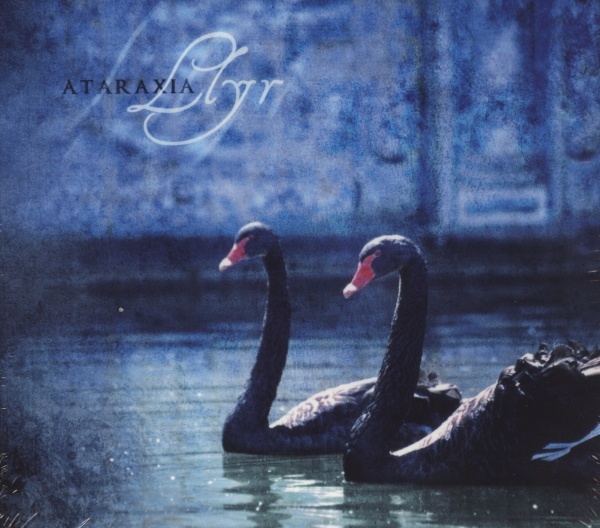 My first experience with Ataraxia was a last.fm play when I was listening to similar artists to Amber Asylum. I was impressed and decided then that I would purchase their latest album. So i got onto the iTunes store and downloaded an album called "Melodious in Absentia." I didn't listen to the album right off the bat. The next day my iPod was on random and played a song from that album. I had no idea what it was, but it sounded terrible. Needless to say I wasn't listening to the same Ataraxia I had found on last.fm. After running a search of the band's latest album, I discovered that the band I was actually looking for released an album entitled "Llyr" in 2010. I found that one on iTunes, downloaded it, and haven't been disappointed since. By now you are wondering what kind of music this particular band plays. This Ataraxia is an Italian band who plays a folk-tinged selection of dark neo-classical tunes with minimalist instrumentation. For those unfamiliar with the many eras of classical music, let me say that this is not your typical neo-classical music. Instead of an orchestra playing this music, it is a band, whose three members each play various instruments. This band plays many outdoor concerts on the sites of various landmarks of historical and spiritual significance, mainly in Europe dealing with spiritual qualities of Greek and Latin myths. This band employs anything from lutes, to banjos, to guitars, horns, violins and cello as well as modern technology. It is a very diverse listening experience that can lend itself to a variety of emotional influences. I would most compare this band to Dead Can Dance, but with less emphasis on ambiance and more weight put on the folksy, operatic vocals. For those not initiated to this type of music, this album can be a taxing listen in that it involves numerous odd time measures, minimal classical instrumentation, and an eclectic array of of mostly classical influences, including classical and early music. If you have an open mind, there is beauty to be found in these songs. Vocalist Francesca Nicoli has a heavenly, ethereal voice. The lyrics this band writes are in various ancient and contemporary languages, so if you need to understand what the lyrics mean, this band probably isn't for you. I enjoyed this album. Hopefully this band will reveal plans to record a new disc soon, because I am a fan. Since forming in the late 1980s, Ataraxia has released no fewer than 20 LP albums. Take a listen to the title track from "Llyr" below. As always, thanks for reading and enjoy!